hey, we all know that David will appear as himself on Nickelodeon’s pre-Valentine episode of “iCarly” on February 7. The show will also encore on February 15 when David will perform “A Little Too Not Over You” for the first time on TV!!! Get your video recorders ready! NEW YORK, Jan. 29 /PRNewswire/ — Nickelodeon’s pre-Valentine’s “Crush Night” is music to kids’ ears when teen “Idol” David Archuleta takes on his newest challenge: The crush-worthy singing sensation makes his acting debut on the mega-hit iCarly, and helps kick off all-new episodes of back-to-back romance-themed primetime premieres, Saturday, February 7 (8-9:30 p.m. ET/PT). Archuleta, whose hit single “Crush” is topping the Billboard charts, teams up with iCarly headliner Miranda Cosgrove to celebrate teen romance as they host the night from the set of iCarly. 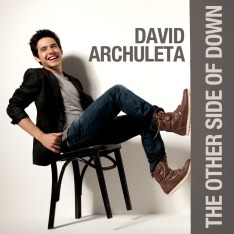 Archuleta performs his current hit “Crush” (February 7) and his new single, “A Little Too Not Over You” — debuting the new tune on TV within Nick’s Crush Night encore, Sunday, February 15 — in front of adoring fans, and the duo also unveils premieres of iCarly, True Jackson, VP and The Naked Brothers Band. I’ve actually watched a few episodes of iCarly recently to see what the show is like. It’s kind of cute. I can definitely see the appeal for young teens. I’m looking forward (of course) to watching David on the show. He’s going to gain lots more fans because of this appearance. Every David Archuleta fan needs to promote this episode of iCarly. Let’s help send ratings through the roof!